Yesterday, we "skipped" school and I took the kids to our State Fair. We had a blast, and got rather sunburnt. We got to ride in a combine, and on a mini Ferris wheel, paddle kayaks around a swimming pool, watch piglets be born and chicks hatch -- my kids will be talking about it for quite a while. #1 and #2 are from date night the day before the fair. 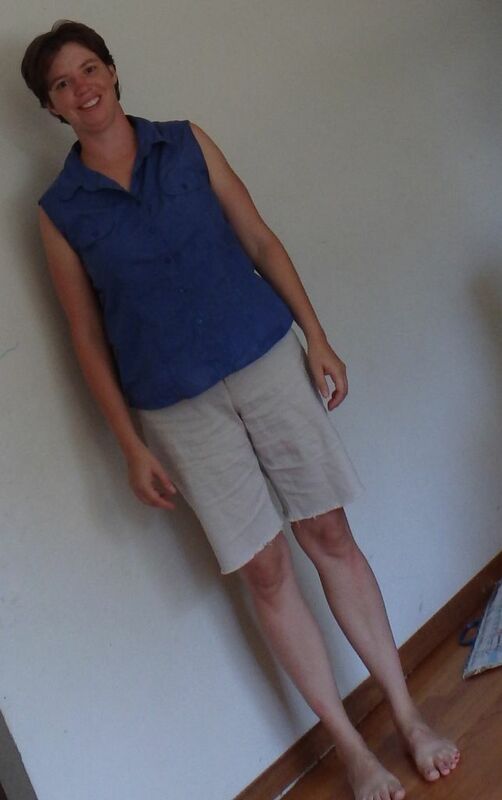 I decided to combat the arctic A/C by wearing fall boots with my summer outfit. It only sort-of worked. #3 is today - post fair, and feeling a little bit lobstery. I think you could get away with boots with your skirt if they were brown rather than black. Can't see any obvious lobster effect - sounds like a great time was had by all. That skirt is cute. I agree with you that the boots should have worked with that outfit, but something seems a little off. 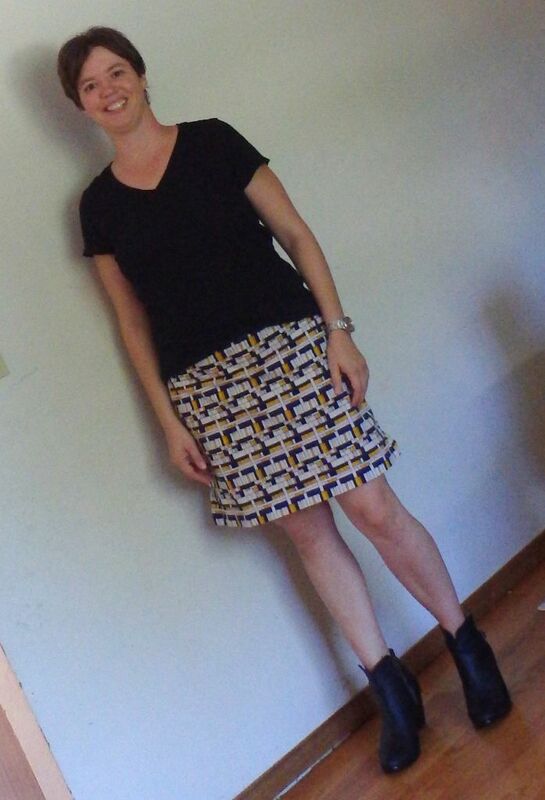 Maybe it works better with tapered skirts? I LOVE #1! One of my favourite outfits so far. This is very much the direction I see you moving in if you don't mind me saying:). Streamlined and modern, a touch of pattern and colour. Fab! I love 1 too, I think the boots work well and you look hot and leggy. Sorry about the sunburn --- hope you are feeling better soon! Love your boots and boots outfit! Don't approve of the sunburn - where was your hat! I quite like the boots with the skirt Amy - and you have fabulous legs! I like all 3, especially #1! I think #1 looks good with the boots. You could wear the same outfit when it gets a little cooler with tights too. Our State Fair starts in 2 weeks and it's always super hot and we have to coat ourselves in sunscreen. My kids love it although I only have patience for a couple hours - just long enough to look around and eat some fair food. Love #1! One of your best to date! Sorry about the sunburn. I hope you feel better soon, and so do the kids. Sunburns stink! Omg, I LOVE the boots. I like the boots with that skirt, and that skirt is still one of my favorites on you. Too bad about the sunburn but a least you got your vitamin D. Here in the pacific northwest vitamin D deficiency is prolific. A little (but not too much) leg is great for date night! 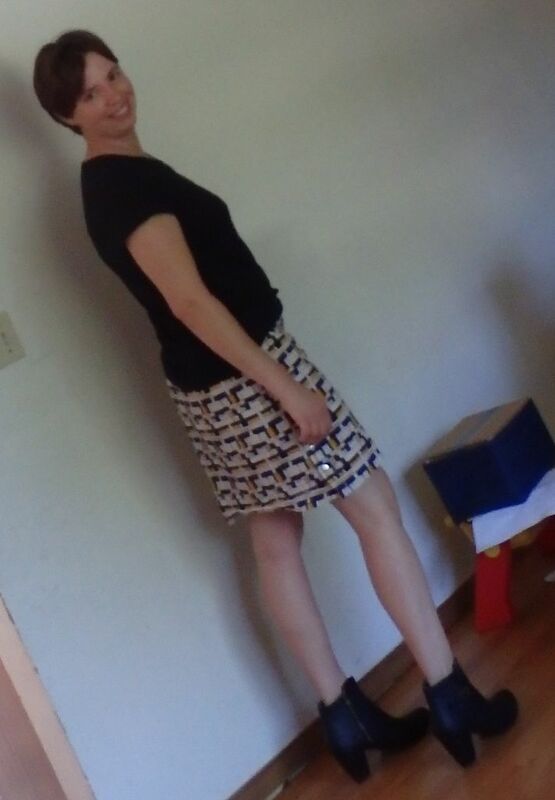 The contrast of skirt to boot doesn't bother me one bit --- the high contrast seems deliberate. Choosing blue to "cool" your sunburn was an excellent idea, although it won't take away the discover. I'm one of those obsessive people who not only wears SPF 50, but reapplies it, even at Six Flags! Amy, you have super legs, and your boots are fabulous! Hope the sunburn heals soon. I thought you looked totally fab at the fair. It was a huge treat to see you and your family that day. I love #1, I think the booties look intentional, very "blogger-ish". But I know what you mean, I've tried them and can't get used to the look. But you have great legs! And I'm jealous that you can still get a sunburn in November. Thanks Crackers - but this is actually an old thread - I got this sunburn in September :) It's cold here now!